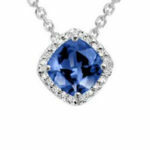 Raffini Jewellers are highly experienced at creating custom made jewellery designs. 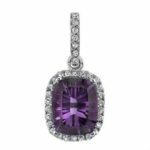 Whether you are after a timeless classic pendant, such as a diamond solitaire, or an elaborate statement necklace featuring pink diamonds and coloured gemstones, we can design the pendant or necklace of your dreams. 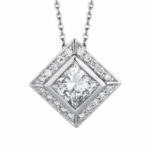 During an appointment, Raffini Jewellers will discuss ideas and images of your ideal design and inform you of various options available to achieve your desired pendant or necklace. 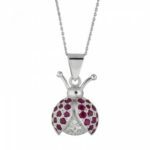 See a variety of pendants and necklaces on our website, any of which can be altered and personalised to your taste. 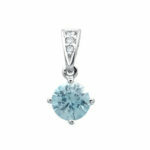 Raffini Jewellers can source the best diamonds and coloured gemstones to create your perfect necklace or pendant. We will explain the 4 Cs with a selection of stones that are most suitable for your design and assist you in making a knowledgeable decision for your purchase. 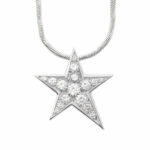 We also sell a variety of fine chains in various metals and karats to showcase your pendant or necklace. 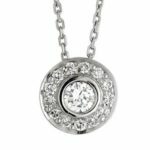 Whether it is for yourself or a gift for somebody special, Raffini Jewellers can create beautiful pendants and necklaces to suit all budgets. 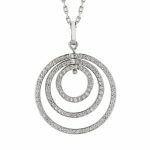 At Raffini Jewellers we are confident you will be impressed with our high quality product at competitive prices, delivered with high level expertise and friendly service.